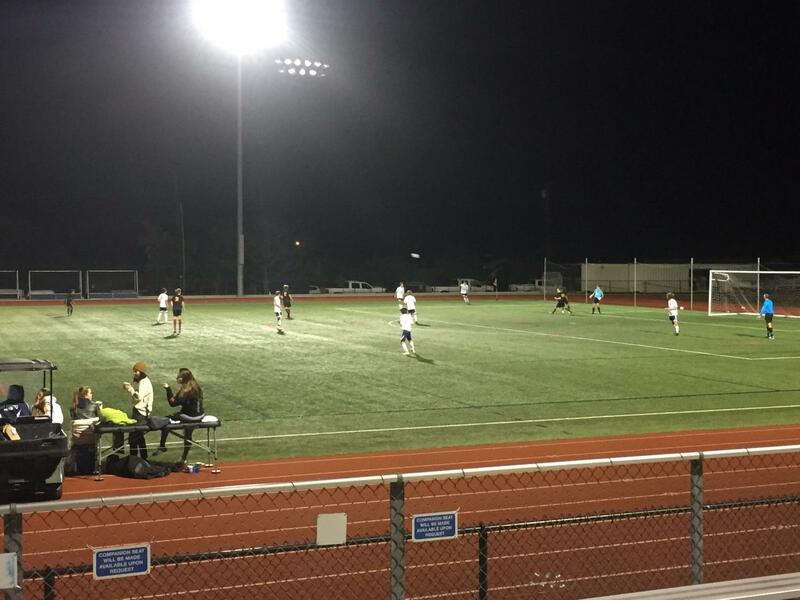 The SDA Boys Soccer team opened up their first home game of the season with a 2-2 tie against Torrey Pines on Friday. Such an intense game with two rival schools would typically mean loud players and fans – but it was quite the opposite, unless there was a bad call made by the referees. The first half kicked off with fast paced game play and a lot of balls down the sideline. It was a relatively back and forth game as each team pressured hard on opposing sides. With 15 minutes left in the first half, the Falcons scored on the Mustangs after a defensive breakdown ultimately led to a shot that hit off the post and into the goal. The first half ended with a 1-0 lead by Torrey. Despite being down by one goal, the Mustangs continued to play hard, making a come back of their own. SDA junior Miles Lavake had a header goal over the keepers head into the back of the net after seven minutes into the half. Just six minutes later, junior Kai Haseyama volleyed the ball up to junior Jaken Eyre who carried it all the way into the 18 yard box. Lavake followed Eyre’s touch that just into the box and put the ball into the back of the net to put the Mustangs in the lead with 2-0. The Falcons began putting more pressure on the Mustang defense, but the SDA boys kept up. With just two minutes left in the game, Torrey Pines scored to tie up the game yet again, ending the game 2-2. The Mustangs will play the Valley Center Jaguars in another preseason game on Monday, December 3 at 5:30.